Google's phones and tablets tend not to come with earbuds anymore, but those are always junk anyway. Better to buy something nicer to use with all your electronics, right? 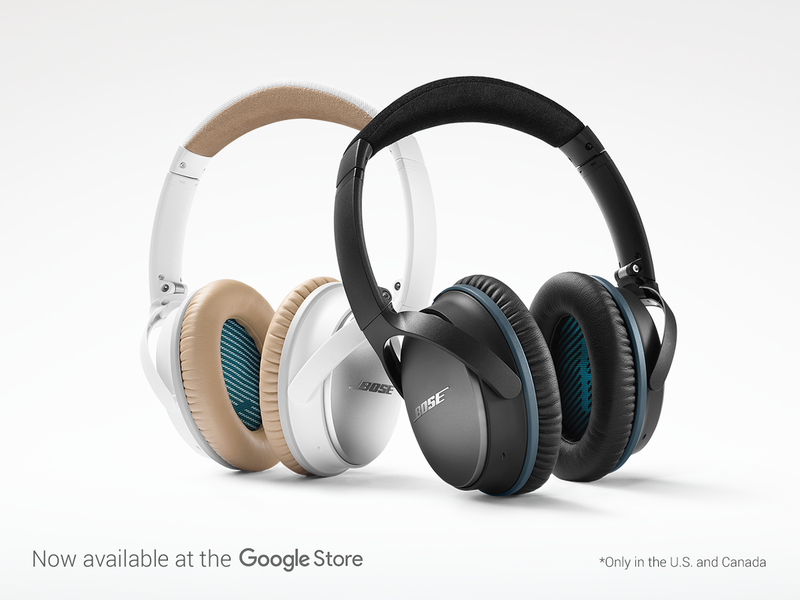 Now Google has a selection of Bose headphones in the Google Store so you can get that done when you order a phone or tablet. There are four headphone options currently listed, all of them from Bose. The cheapest are the SoundSport In-Ear Headphones for $129.95. Then you've got the SoundTrue Around-Ear Headphones II for $179.95, and it's $100 more for the SoundLink Wireless Headphones II. The top-of-the-lin on the Store are the Bose QuietComfort 25 Headphones for $299. Hey, that's almost the price of a Nexus 5X right now. So, it's all Bose stuff right now. The header in the accessories section does say "Bose headphones," but that doesn't necessarily mean headphones from other manufacturers won't be available later.